As I alluded to recently, I used some of my photos in a design project last week. 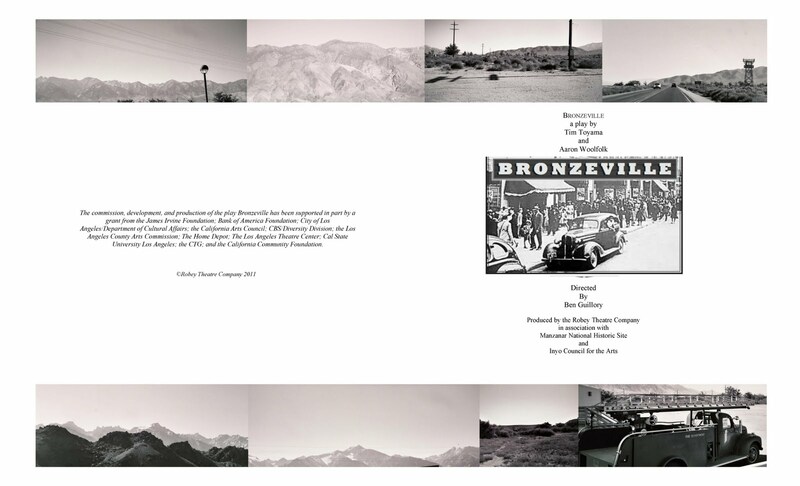 I put some finishing touches on a booklet for the Robey Theatre Company play "BRONZEVILLE" for a special engagement at Manzanar National Historic Site. The photos were shot with my beloved C41/color process B&W film, which produces sepia tones and sometimes, blues, greens and grays, depending on light and conditions. For more information and other items designed for the project, please see the post on EricaJackson.com. collection, taken on a visit to Manzanar a few years ago. 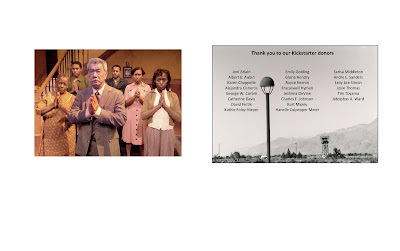 The BRONZEVILLE title image (R, center) was supplied by the Robey Theatre Company.